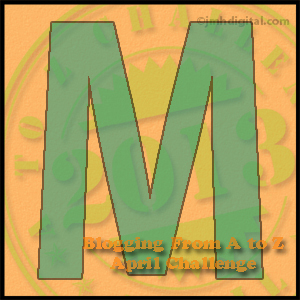 You may have noticed that I’ve fallen a wee bit behind on the Blogging from A to Z Challenge, but in an effort to make it up, I’m going to attempt to post a two-fer each day this week. In other words, the letter for this day last week as well as the letter for this day this week. For example, last Monday was M, today is S, so I will attempt to post both M and S today. On to M! This was yesterday. Okay, actually, it was last week, Tuesday to be exact. I went for a walk around a nearby lake with my son after he got home from school. It was a beautiful afternoon! The sun was shining after being in hiding for about a week and a half and snowing for just about as many days. This day, however, the snow was melting and we couldn’t have had a more lovely walk. 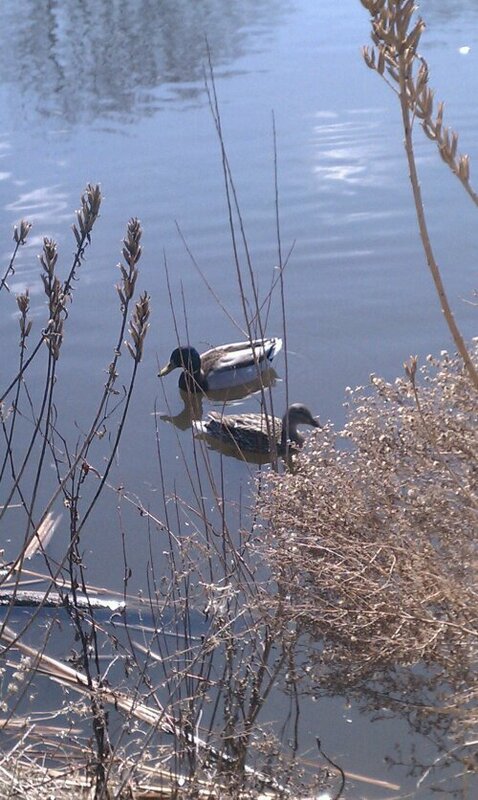 Ducks were approaching in pairs every direction we turned. In fact, birds of all kinds were out and about. Their conversations were flying back and forth above our heads. It was a nice reprieve from the unseasonably long winter we’re having. 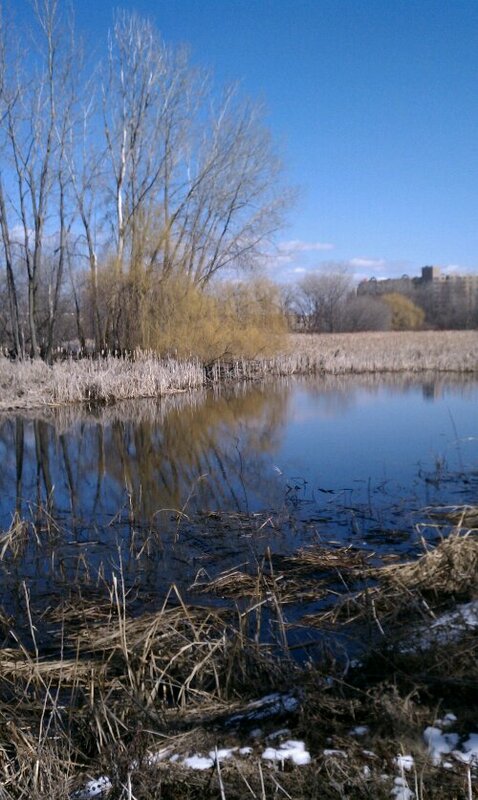 Looking across the lake, the golden haze of the buds on the Willow trees let us know that spring, is indeed, coming. Like I said. That was last Tuesday. Wednesday, it started snowing again. And Thursday we woke up to this. 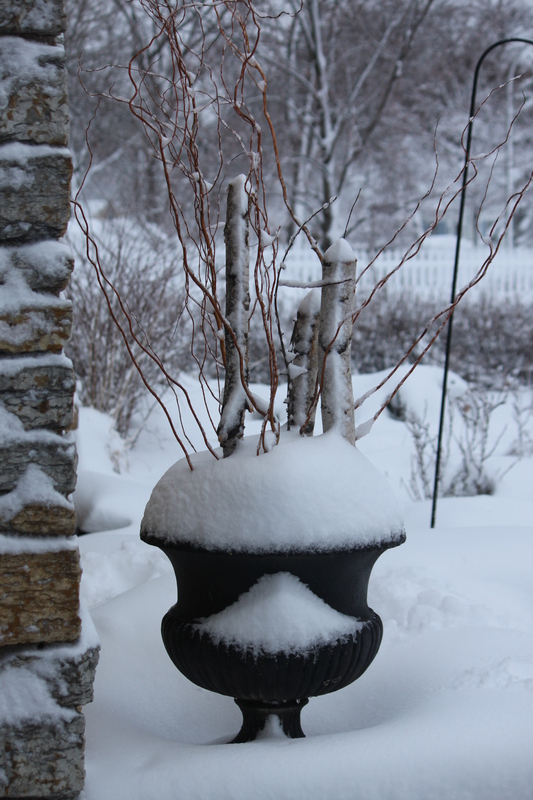 Try as I may, my spring planter didn’t look exactly springy. 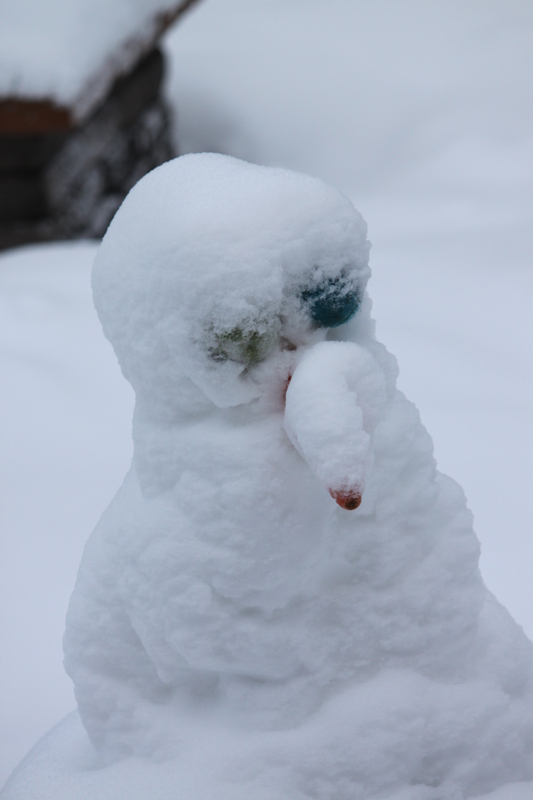 And even our snowman looked a little droopy. But the dogs? Yea, they thought it was pretty groovy. 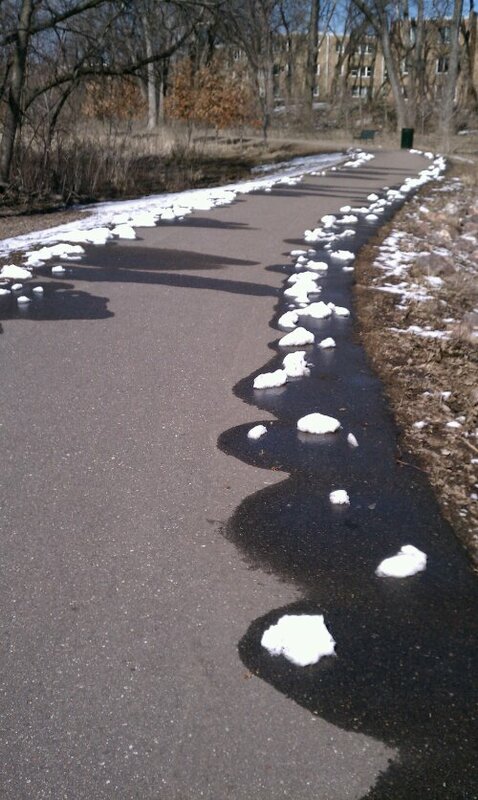 Each day, I look out at the snow and think, “Melt! Would ya?”. And magically, little by little, it does. In fact, today most of our yard can be seen once again with the exception of just a few patches of snow left here and there. And this morning, the sun was shining brightly and the landscape looked quite cheery. 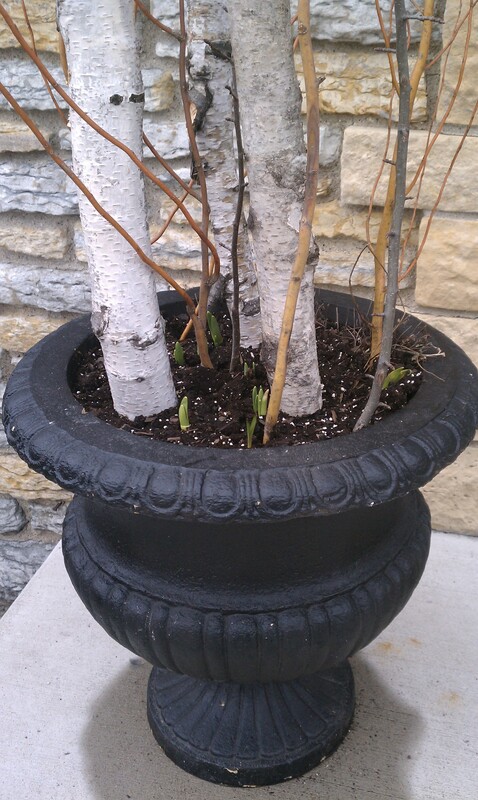 I peeked into my planter and was pleased to see my bulbs are still there, right where they were a week ago, their little heads poking out of the soil. I don’t have the heart to tell them that it’s not over. That’s right. The sun is already gone again and the next front is on its way in. And tonight? 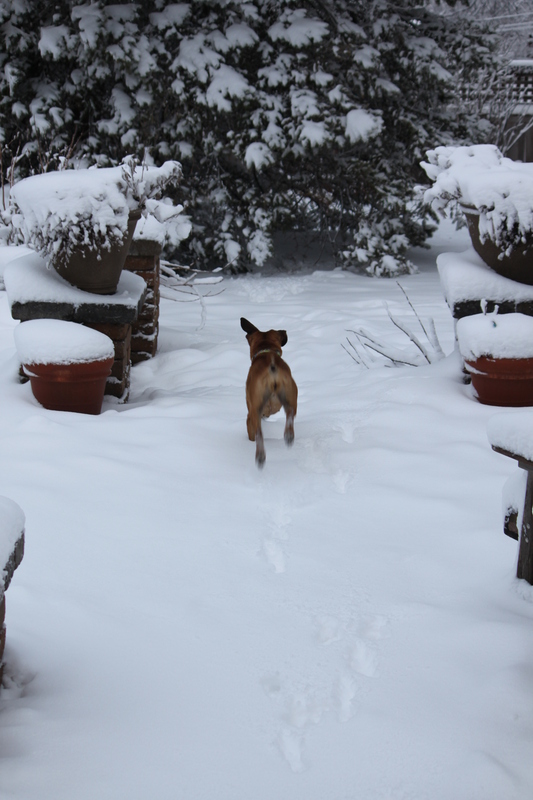 Yep, we are under yet another winter storm warning… The forecast:? Overcast with snow and thunderstorms. Low of 32F with a windchill as low as 23F. Breezy. Winds from the North at 15 to 20 mph. Chance of snow 100% with accumulations up to 8 in. possible. Oh, well. Some day. 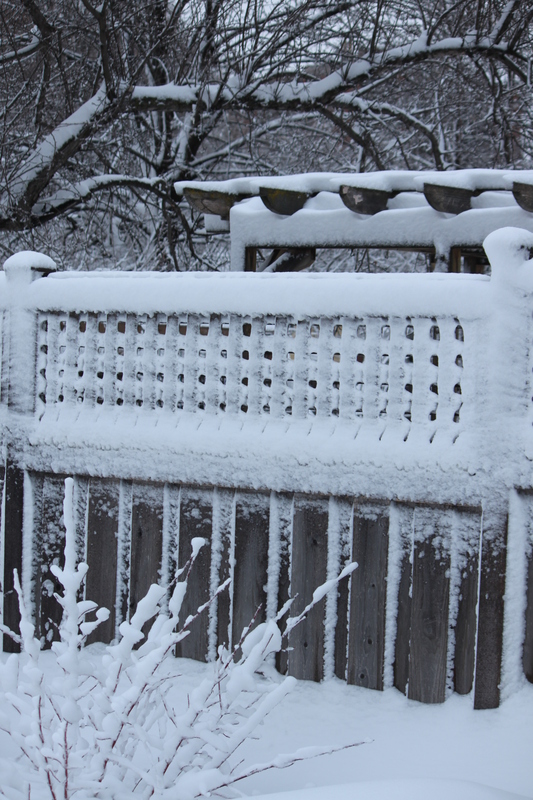 Some day the snow will melt for good and I will actually be able to plant my garden. p.s. – Has anyone found Punxsutawney Phil yet? I wanted to cry just looking at those photos. It’s not as warm as it should be here in the northeast, but at least we don’t have snow. I wanted to cry too! Thankfully, we are finally getting a warming trend. Hopefully, we’ve finally shed winter for a while. Looks like our Colorado weather. 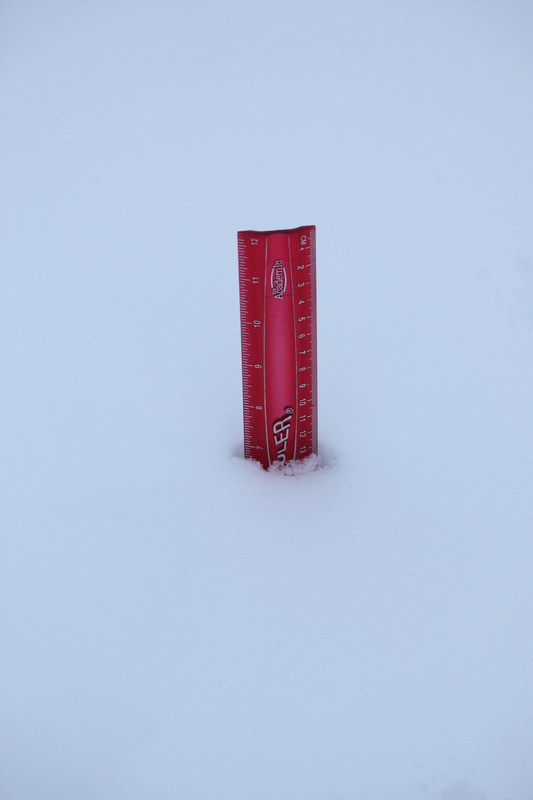 We had a ton of snow last week which, while a pain to drive in and shovel out, probably saved our mountains from more forest fires this summer. We’re up to 98% of normal water reserves, and so I’m greatful. Also, my tomatoes will have plenty to drink. Spring is coming!